Following the success of the first edition Stromboli@Tango ASD is pleased to present the second Stromboli@Tango ... in the magic and explosive atmosphere of the Black Pearl of the Eolian Islands. Have you chosen the package for you? Have you checked how to reach Stromboli on the dates you have chosen? For other solutions contact us! 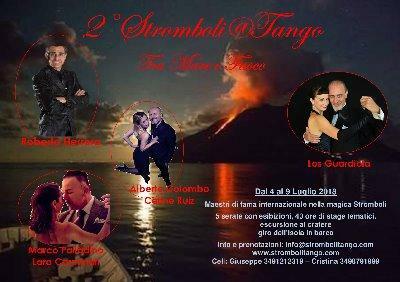 llowing the success of the first edition Stromboli@Tango ASD is pleased to present the second Stromboli@Tango ... in the magic and explosive atmosphere of the Black Pearl of the Eolian Islands. Soon more details ... stay tuned !! !